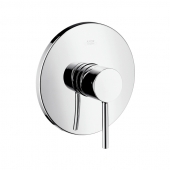 The design of Starck product line is based on a historical well pump and minimalized to the essentials. The optics are characterized by consistently geometric shapes. 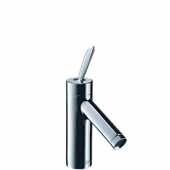 The two handle variants pin-handle or feather-handle and the various possible projections offer enough space for an individual bathroom design. 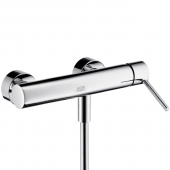 The designer of the line is Phillipe Starck, who has been Hansgrohe's design partner for 20 years. 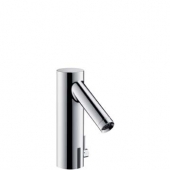 The washbasin taps have cylindrical base bodies and an equally cylindrical spout that is inclined downwards. 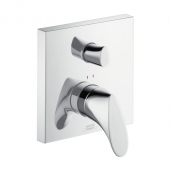 The faucets have either a normal lever pointing forward in neutral position or a narrow joystick control lever pointing upwards. 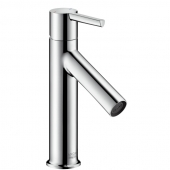 The washbasin taps are available with a projection of up to 112 mm. 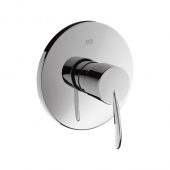 In addition, the product line also offers two-handle faucets as single-hole or three-hole faucets for wall or floor mounting as well as electronic faucets. The latter are battery-operated and have a battery life of approximately two years. In addition, a hygiene flush can be activated, and a thermal disinfection can be operated, which ensures a hygienically sound faucet. 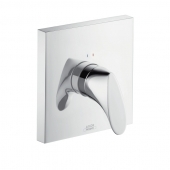 The Axor Starck product line offers everything the shower user desires: individual hand showers, shower hoses, side showers and complete shower set. 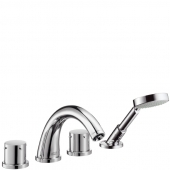 The set includes a head shower, several side showers and a hand shower, of course also a shower rail, a shower hose and a thermostatic mixer. 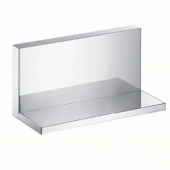 In addition, high-quality rain showers are offered with different types of jets: from normal jets to RainAir jets and laminar jets. Often the rain showers also have LED lighting for maximum relaxation. 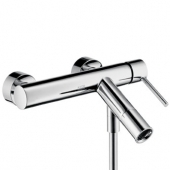 In addition to various single-lever mixers with spout and four-hole faucets with spout and shower, Axor Starck product line also offers a free-standing bath faucet that gives an elegant look, especially in combination with a free-standing bathtub. In addition to the bath tub feet, it also includes an outlet, a shower hose and a hand shower. 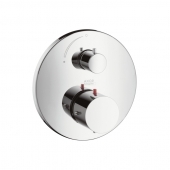 The bidet taps are similar to washbasin taps and have either a joystick handle, a feather handle or a normal handle. 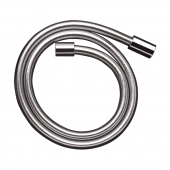 The spout can also be bent thanks to a ball joint that ensures a comfortable use. 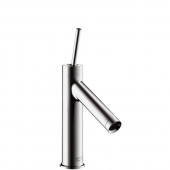 The Starck line offers slender formed kitchen mixers with their spouts bent forward. Most of them have a joystick lever on the side. 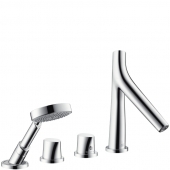 The kitchen faucets have either only a normal jet or additionally a shower jet. This is adjustable via a button on the front of the spout. 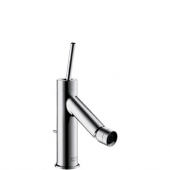 The kitchen faucet can also optionally have equipped with an extendable shower for more flexible operation. 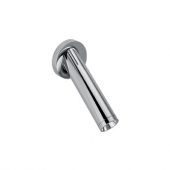 The Semi-Pro faucet can even be swiveled by 360°. 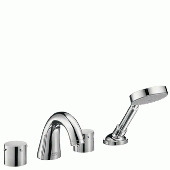 The kitchen faucets are available in chrome or stainless steel. 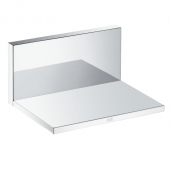 To make your bathroom even more beautiful, the Axor Starck line also offers many accessories. These include towel rails, soap dispensers and toilet bras. All accessories are also in chrome.